Tesla Tiny House has hit the road and is making its way around Australia to demonstrate how to generate, store and use renewable energy for your home. To coincide with Edge – 2018 National Architecture Conference, the Tiny House will be in Broadbeach from 7 – 12 June 2018. Join us to learn first-hand how self-powered energy products can help to sustainably power your home, protect you from outages and reduce your energy bills. Energy experts will be on hand to answer questions. 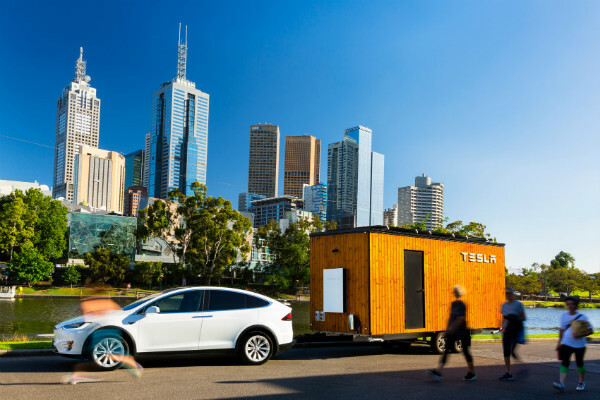 Towed by the all-electric Tesla Model X, Tiny House will be on display at Victoria Park Broadbeach from Thursday 7 June until Saturday 9 June, when it will make its way to Kurrawa Park until Tuesday 12 June.